THE "MIDWAY IN THE MOON." Words and Music by Gussie L, Davis. For brother Jasper, he declares there's a midway in the moon. When we get up to the midway in the moon. 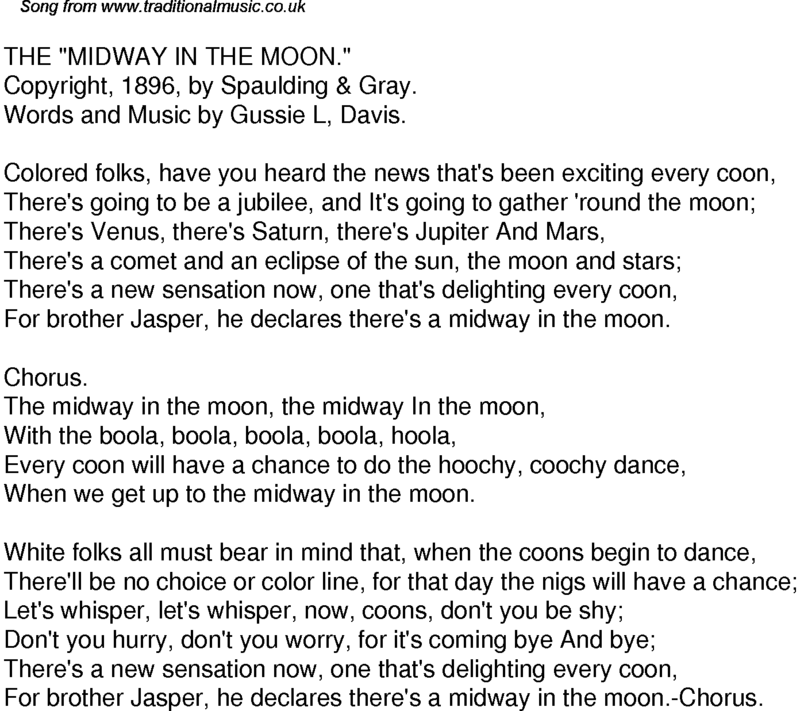 For brother Jasper, he declares there's a midway in the moon.-Chorus.